Today I thought I would share a couple of pages with you that some of students have done in some of our classes recently. 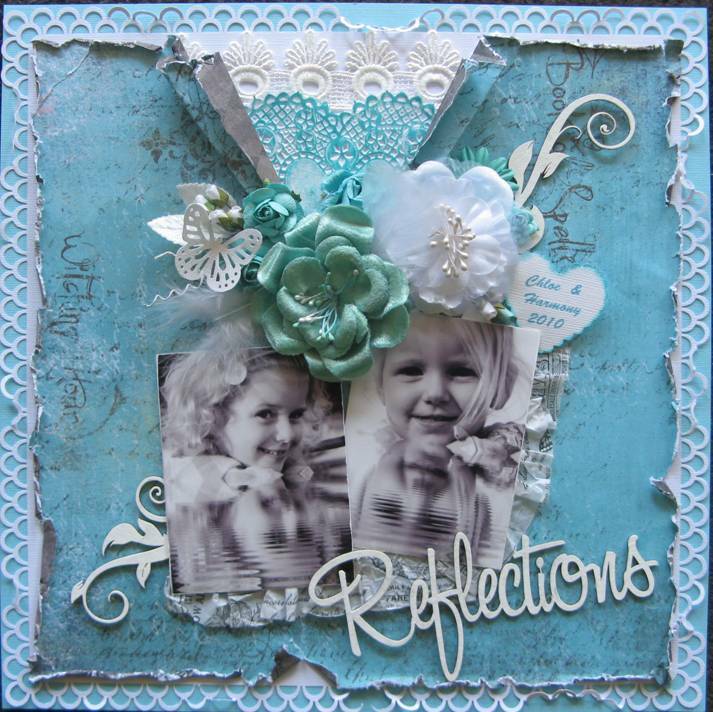 Firstly this beautiful layout called "Reflections" was done by one our our students, Diana Byrne. This was a gorgeous pic of her Grandchildren. Such a fantastic job Diana. Thanks for sharing with us. Next up we have a couple of Vintage layouts to share with you. We have been doing loads on Vintage lately. It seems so many of our students have some amazing Vintage photos & it is such a shame to keep them hidden away in a drawer, much better to get them onto a layout for all to admire. This layout was done by another of our students, Ann Nguyen. Ann has done some stunning Vintage layouts with us. She has so many gorgeous Vintage photos. 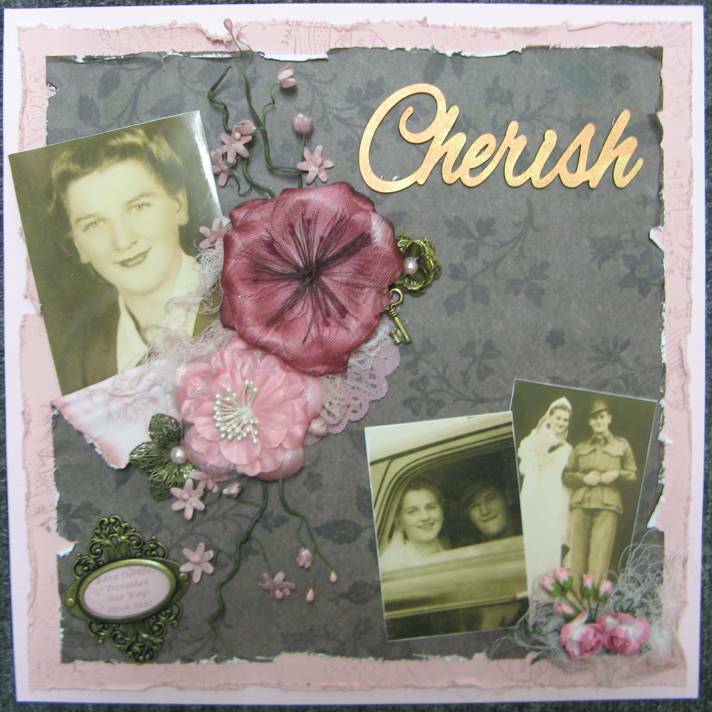 Here is another Vintage layout that Ann did at yet another class recently. 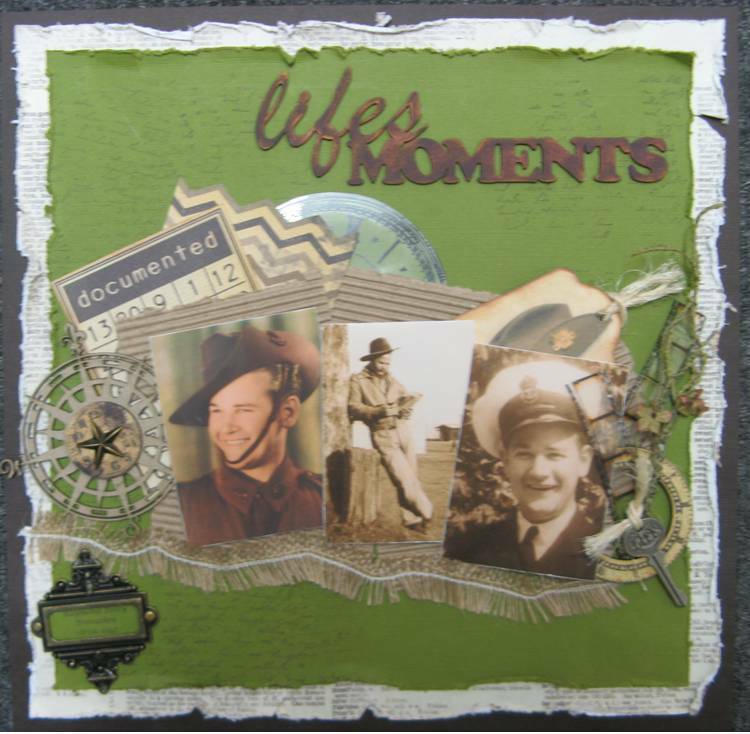 This one is reminiscent of the War years with some great old family photos. Ann is very lucky to have such great pics. Thanks so much girls for sharing these with our followers. If you have some old photos that you would like to scrap but are not sure exactly where to start, come & see us & perhaps book into a class & let us help you. We do a class every day of the week, Monday to Saturday, at 10.30am. Cost is $12 class fee plus product. These are lovely Di...obviously inspired by a creative and talented teacher!